Paris and Hong Kong for the first time joined Singapore as the world’s most expensive cities to live in, a study revealed, with the French capital jumping six places in just two years. Zurich, Geneva and Japan’s Osaka trailed closely, with emerging market cities like Istanbul and Moscow plummeting down the ranking due to high inflation and currency depreciation, said the Economist Intelligence Unit’s bi-annual survey of 133 cities. It was the first time in more than 30 years that three cities shared the top spot, a sign that pricey global cities are growing more alike, said the report’s author, Roxana Slavcheva. “Converging costs in traditionally more expensive cities ... is a testament to globalization and the similarity of tastes and shopping patterns,” she said in a statement. “Even in locations where shopping for groceries may be relatively cheaper, utilities or transportation prices drive up overall cost of living,” she said. Paris—where the high cost of living has been one of the factors behind weeks of violent protests by Yellow Vest demonstrators—has ranked among the top 10 most expensive cities since 2003, with only transport and alcohol offering value for money compared to other European cities. British cities recovered a few positions a year after reaching the cheapest level in more than two decades due to Brexit uncertainty, with London ranking 22nd and Manchester 51st, up eight and five spots respectively. The word “city” or “cities” appears 1,318 times in the Bible. “City” stands in opposition to villages, townships, farm communities. For the first time, we read in Genesis 13:12: “Abram dwelled in the land of Canaan, and Lot dwelled in the cities of the plain, and pitched his tent toward Sodom.” Abram dwelled in the land, and Lot dwelled in the cities. We know the end result: Sodom and Gomorrah were destroyed. While the Biblical stories have no direct relationship to this article about the most expensive cities in the world, it is significant that cities—anywhere in the world—play the major role when it comes to politics, finance, economy, merchandise, etc. It is also of interest that the last global society is identified in the Bible as a city: “And the great city was divided into three parts, and the cities of the nations fell: and great Babylon came in remembrance before God, to give unto her the cup of the wine of the fierceness of his wrath” (Revelation 16:19). That is the time when globalism, with all its glory, success, riches, prosperity, and freedom, will collapse. It’s notable that in Paris, the Yellow Vest demonstrations have gathered many headlines around the world, while the countryside is still functioning in a peaceful manner. 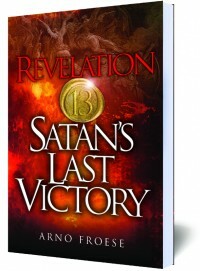 #1067 Read about Satan’s plan to create peace and prosperity through deception!